Add some traditional glamour to your ethnic look with these beautifully designed earrings. 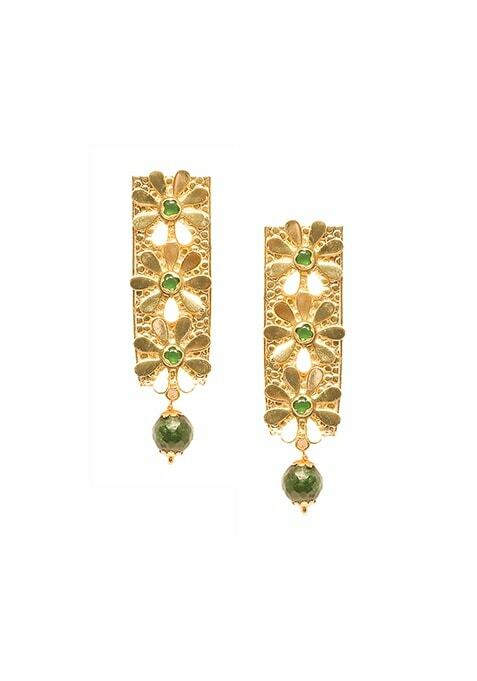 These feature floral details and a green stone drop. Work It: These look fabulous with a silk tunic.